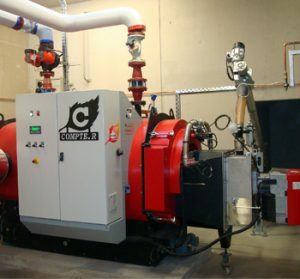 From commercial production to industrial processes, we are pleased to offer complete, integrated engineering in virtually any size boiler, for virtually any application. 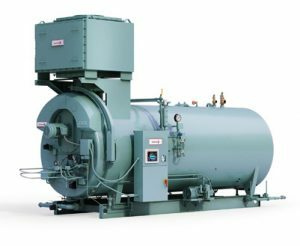 To request a proposal for a steam boiler, please contact us. 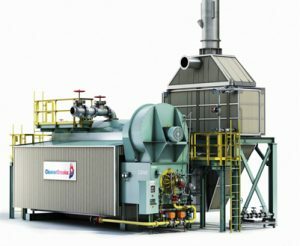 High-quality steam, high fuel efficiency, low electrical energy consumption, and low emissions – all of this is delivered in a vertical tubeless boiler design to effectively and reliably meet your steam process requirements. 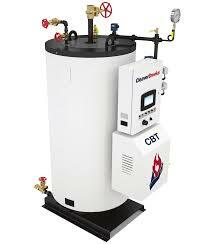 Whether it’s the CBEX Elite, the most efficient firetube system ever made, or the Original CB 4-Pass boiler, enjoy qualities such as increased heat transfer up to 85% in 15% smaller footprints. Models from 15 to 2200 HP. 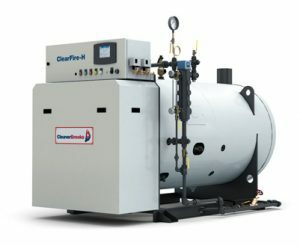 A horizontal, gas-fired, quiet and compact steam boiler designed for the commercial market is available in eight sizes. An advanced combustion design keeps emissions low, while a linkage-less burner provides a 5:1 turndown ratio. Designed to exceed the expectations of the commercial market, the vertical ClearFire-V is available in eight sizes and maintains optimal efficiency throughout the entire firing range. 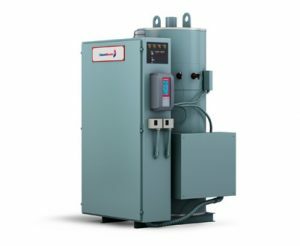 The saturated steam-ready design is a fully integrated Nebraska series system featuring advanced controls at a competitive price, and the up-front engineering can cut weeks off of delivery time and help you plan ahead. 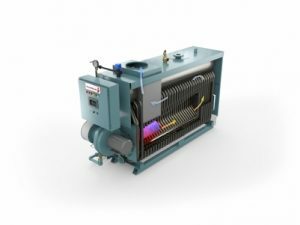 Non-welded tube attachments, a CB ProFire burner and a removable sectioned side panel make this Flexible Watertube product compact, accessible and resistant to thermal stress. Boasts a high turndown ratio of 10:1 on natural gas for max efficiency. 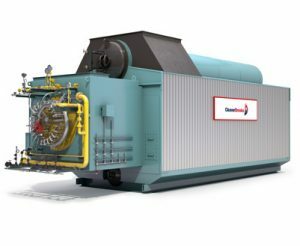 Suitable for a diverse set of needs from food processing to hybrid heating solutions, the M5M is equipped with a premix service combustion burner, is eco-friendly, and increases boiler room space by 50%. Available in A (reliable), O (light/compact), D (low-maintenance), Modular and elevated-drum configurations, these models provide a range of 10,000-1,000,000+ lb/hr. 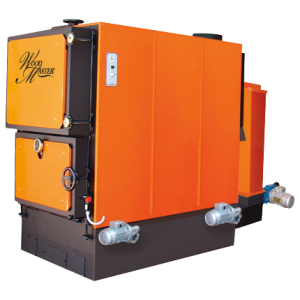 Woodmaster biomass boilers feature not only automatic fuel feeding, but possess commercial power ranges of up to 6.8 million BTU/h while maintaining up to 92% efficiency. Durable, convenient and clean. 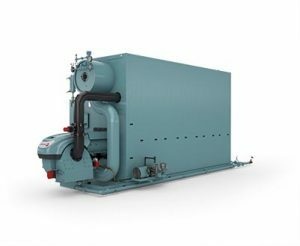 With a power range of 1500-9500 kW or more, this product line offers from 3 to 16 TPH of steam up to twenty bar, or overheated water. 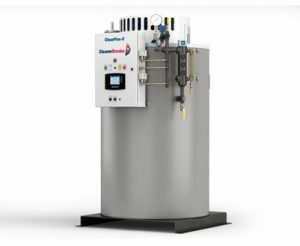 Ideal for specific industry needs, such as high-pressure steam. They are clean, quiet, easy to install, and compact. No combustion considerations and minimal complexity make them a good alternative where emissions regulations are a concern. 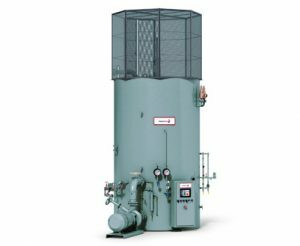 Designed for large industrial projects, these jet-type electrode steam boilers utilize properties of water to conduct electrical current and generate steam. Experience automated control and reduced operating costs.